Extend the battery life of your Xbox One wireless controllers with the Xbox One Modular Charge Station from Nyko. 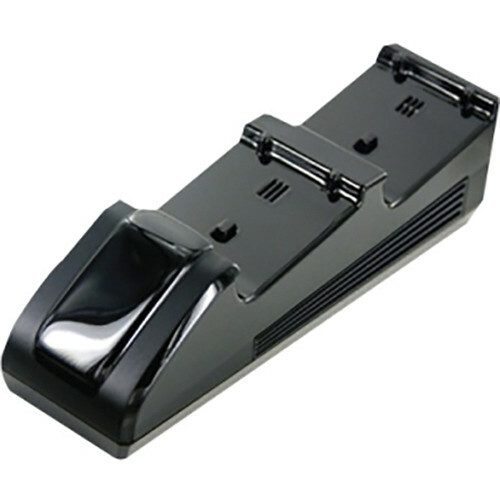 This charging station attaches to the top of the console and features a drop-in sled design that allows for rapid recharging of your controllers while still maintaining a low profile. It can charge up to two Xbox One controllers at once and comes with two custom rechargeable NiMH battery packs and covers. Note: The batteries for the Microsoft Power Kit products do not contain the same contacts that are present on the batteries used in the Modular Charging Station. Box Dimensions (LxWxH) 11.1 x 5.4 x 2.8"
Xbox One Modular Charge Station (Black) is rated 4.0 out of 5 by 1. Rated 4 out of 5 by Richard D. from Decent Controller Charger I got this charger, because it was modular and i dint want to have to have my controller plugged in or burn through AA batteries. It charges both controllers, and has an indicator light that turns off when charging is complete which is nice. I do not like that it does not actually attach to the Xbox, the modular fan clips on, but because the Xbox is not smooth, the suction cups dot work, it lightly sits there. The plastic mats are useless as well. It is a nice idea and does what it is supposed to do so I can't really complain. also the batteries aren't any bigger and it has a slim profile on the Xbox.